Ibis is a name that we’re all pretty used to hearing in and around the mountain biking industry. Back in 1981, Ibis was founded by Scot Nicol, who set up the business under traditionally humble beginnings – by building frames in his garage. The mid ’80s saw Ibis produce its first road bike, and then a trials bike that came a year later, in 1985. From there, Ibis was on a run of building a broad range of different bikes. And then in 1991, it launched its best known named bike; the Mojo. Back then, the Mojo was a steel hardtail, much different to what we now picture when we hear the Ibis Mojo name. The Mojo we think of is a beautifully crafted full suspension, and full carbon trail bike. When launched in 2006, the Mojo Carbon (as it was known) really shook up the system in the world of carbon mountain bikes. Its unmistakable lines and frame shape was unlike anything else available at the time, and still is today. 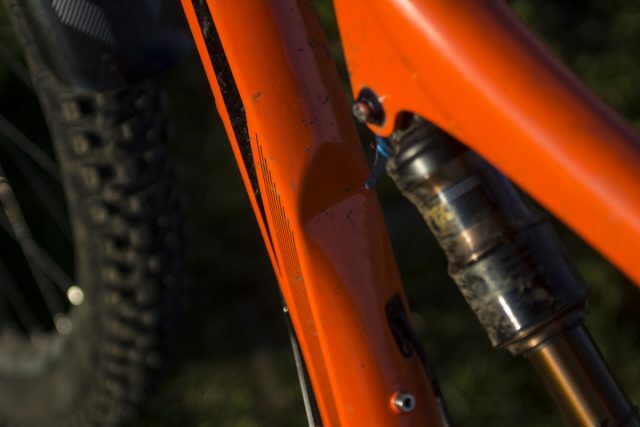 It certainly wouldn’t be doing the Mojo a disservice to say it was one of the bikes that has shaped the way carbon bike manufacturing has developed over the years, to the production of a plethora of bikes we now consider ‘normal’ trail bikes. If it wasn’t for that first Mojo, we may never have seen the bike that we’re here to talk about today – the Ripley LS. The Ripley name, too, had been seen before in the shape of an aluminium softtail frame, developed with John Castellano and launched in 2001, we even had one to ride in the very earliest days of the magazine. Again, though, the new model, first shown in 2011 was a world apart from that one. Ibis had been super transparent about the fact it was well on the way with plans to design and manufacture a full suspension 29er mountain bike. The original idea was to create a 100mm travel 26in race bike, but alongside the larger 140mm bikes in the range, that seemed a touch reserved. After some (I imagine) in-depth discussions, the plan was set to create a 100mm travel 29in wheeled bike, using the ‘linkless’ DW suspension platform, which uses eccentric pivots running on bearings concealed in the frame. 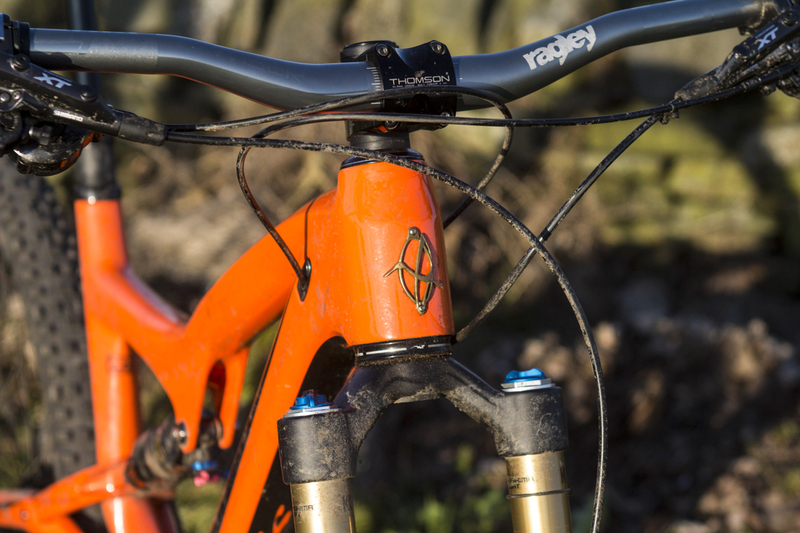 It wasn’t however, until 2013, when the Ripley made its debut onto the mountain bike scene. – two years after the original design was previewed. Why did it take so long? 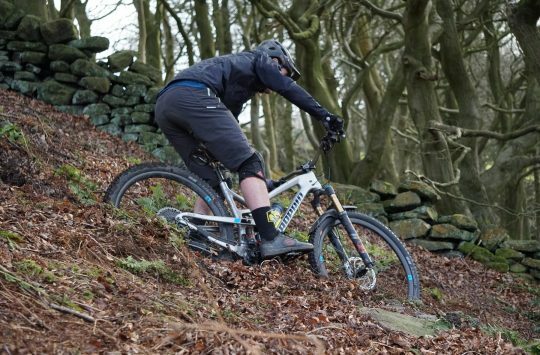 Well, Ibis being Ibis, didn’t want to rush the Ripley, so after what some painstakingly detailed decision making and a whole load of testing – it was 2013 when they were happy and released the (then) all-new Ripley. So, that original bike was Ibis’ first 29in trail bike. Boasting 120mm of rear travel and able to take up to a 140mm fork up front, the platform was one that was very well received – and was reviewed in Issue 84 of Singletrack by the legendary Steve Worland. Since then, that bike has been regularly raced to 24 hour solo podiums by our own Beate Kubitz. Then two years later in 2015, Ibis announced it would be adding to the Ripley range with the Ripley LS. Compared to the standard Ripley, the things that have changed for this LS (the ‘L’ and ’S’ standing for ‘Long’ and ‘Slack’ of course) version, are the numbers and geometry. From the original Ripley (when running a 120mm fork) that ran a 70° head angle and a 73° seat angle, the LS pulls that front wheel out in front of the rider by increasing the top tube length by 15mm and slackening the head angle to a more trendy sounding 67.5° – nice. Plenty more of those details to come, so keep those peepers peeping. The Ripley LS then, what’s it all about? Well, this is a proper trail bike. A short travel, big wheeled adventure bike, ready to take you out and about, up and down and here and there. A super capable machine, waiting for those big day rides. On paper, and with a range of spec choices, the Ripley LS gives all riders something to get a touch hot under the collar over. 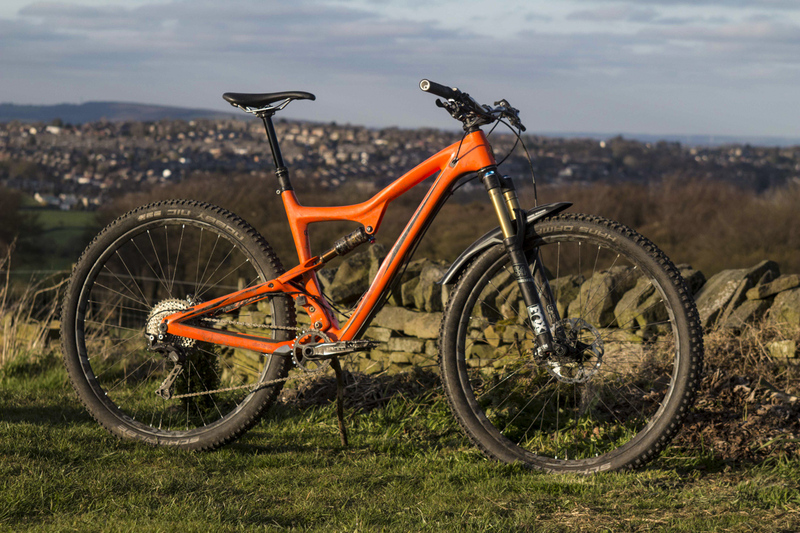 Alongside the 27.5in wheeled Mojo 3 and HD3 models, the Ripley is Ibis’ answer to the 29in full suspension trail bike question. 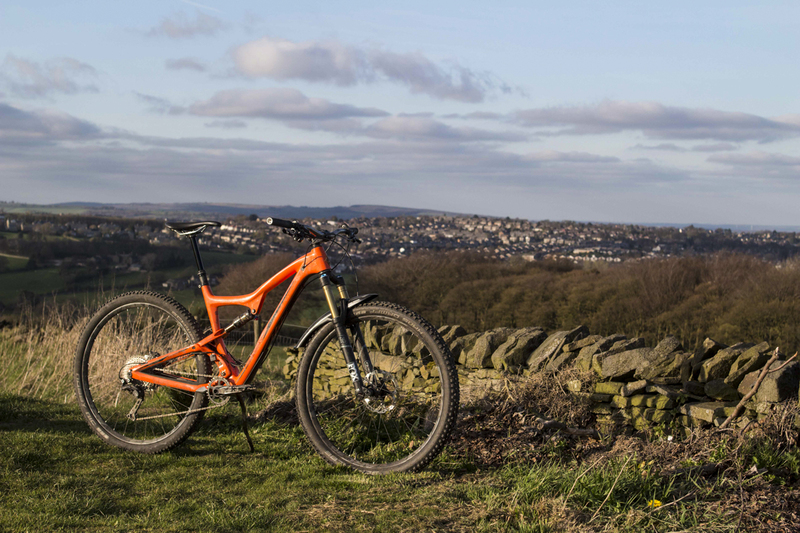 Frame only options start at £2999, and full builds that can push £6k, the Ripley LS should target a wide range of riders who want to push the limits of their riding or experiment with something new. We should add here that during our test with this Ripley LS, Ibis has since announced a 3rd generation Ripley. The difference between the new version and this one? Same geometry, same travel, though the new model features more mud clearance, and can now accept up to a 2.6in wide tyre. Aside from that, it’s all pretty much the same, so we can still give you a good feel for what this 29er trail bike is all about. Personally, I’ve never had a decent amount of trail time on a 29er, after riding a bunch of different travel 27.5in bikes for the past couple of years. Getting aboard a new fangled 29er, such as the Ripley LS was going to be a bit of a shock to the system, but one I wanted to get involved with, to shake up my usual style of riding and put a twist on the way I’d perform on the bike. Not only that, but it would give me an opportunity to see just how capable the new wave of bigger wheeled, but shorter travelled machines can be. 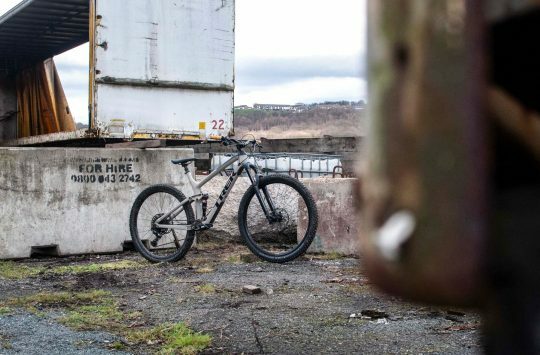 In my head, I had a slight misconception about 29ers, simply down to lack of experience, so coming into the test, I needed to be clear-headed and take all the different aspects of not only this specific bike, but the genre in which it sits, into account. The LS has a lovely overall aesthetic, especially in the evening sunshine glowing. The Ripley LS comprises of a full carbon fibre monocoque frame and swingarm, draped with an eye-watering spec that should suit any British trail rider down to the ground. When the Ripley was first launched as an idea, many critics jumped on Ibis, saying that it would simply be a larger wheeled version of the already successful Mojo. That however, was not the case. The Ripley is a completely different design from that of the Mojo, yet still boasts the now incredibly recognisable Ibis style, of sweet lines and a super clean profile. Using the DW link suspension platform, the Ripley uses eccentric pivots neatly hidden in the seat tube, which act as the suspension linkages. Additional carbon around these eccentrics adds a touch of extra stiffness to the frame – which is only a good thing surely. Oh, and a couple of grams, but who’s counting them…? Full carbon front and rear triangles keep the frame stiff and light. A mix of internal and external cable routing gives the Ripley a balanced overall aesthetic. It isn’t as super duper clean looking as some other bikes out there, but it does give you that sense of satisfaction, knowing that if something does break, or a mechanical needs looking at, you won’t be routing (see what I did there?) around inside the frame to extract cables. Low cable routing leaves the top half of the frame completely uninterrupted. The build kit on this specific bike provides a helping hand in making it look the business. Finished in Orange, the LS really does look the part. Let’s get it covered in mud though, just to be sure. Organised chaos down below on the Ripely LS. As mentioned before the LS is the Long and Slack version of the original Ripley. The numbers that matter are modern, to the point and pleasing on the eye. A head angle of 67.5°, a seat angle of 73° and an overall reach of 428mm – 32mm more than the previous Ripley. The 15mm lengthening of the top tube, previously mentioned, gives the LS an overall top tube length of 619mm. Which although doesn’t sound overly huge – in an age of massively long frames – for the style of bike, is considerably longer than we would have previously expected to see. Now those ingredients are in the bowl, we may begin stirring. The Ripley LS. Long and Slack is the formula. The suspension on the Ripley LS is controlled by the DW-Link system. Designed to give you maximum confidence in your suspension, DW-link provides ‘position sensitive anti-squat response’. 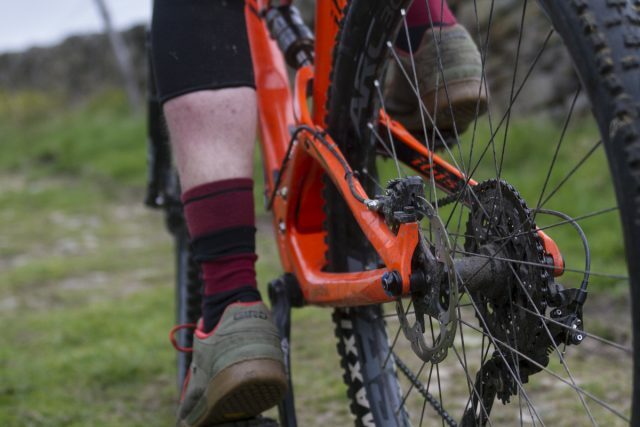 All the big words, but in simple terms, the DW-link provides a system that minimises the need for excessive compression damping, by being able to deal with low-speed bump impacts, while at the same time, reducing the amount of pedal bob when applying force through pedal strokes and maintaining maximum pedalling and energy efficiency. 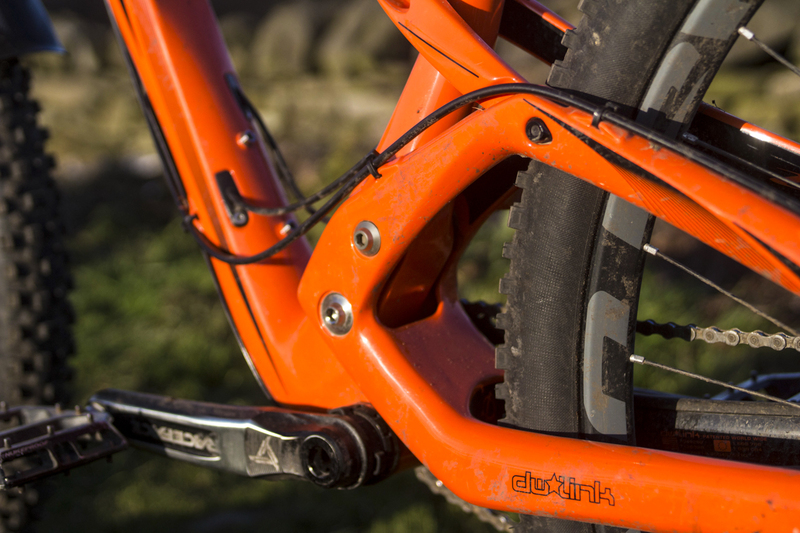 The dw-link suspension design makes the Ripley LS immediately recognisable. The Ripley LS we have here, runs a Fox Float DPS shock, tuned with an EVOL sleeve to curb those small chattery bumps in the initial part of the travel, which then ramps up towards the mid and end of the stroke, providing the necessary support. 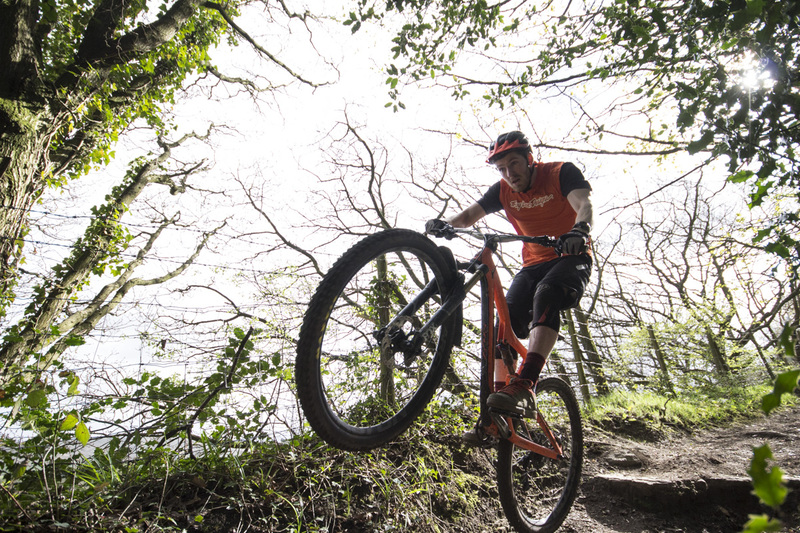 By having these characteristics, Ibis says that the bike becomes more responsive and poppy, ready to hit jumps and more entertaining trail features when you’re out and about. The Fox Float is running 120mm of travel on the LS. 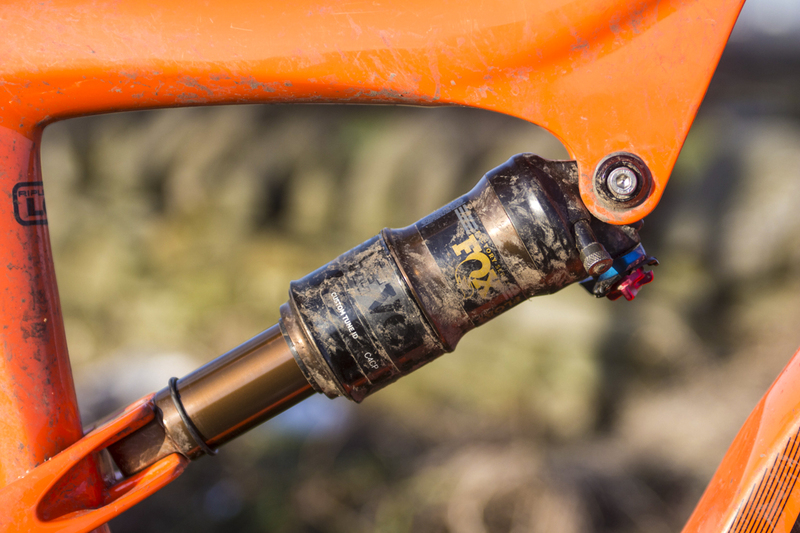 The Fox Float shock offers tons of adjustment through compression and rebound settings. Providing bounce at the front of the LS, we have a Fox 34 with 130mm of plush, Kashima coated stanchioned travel. With three stages of damping at your disposal, the 34 offers plenty of adjustability and setting control for all types of trails and riders. The stiff 34 chassis gives you plenty of confidence, delivered through this stiffness, which makes pointing and shooting the LS at, into and through corners a dream. 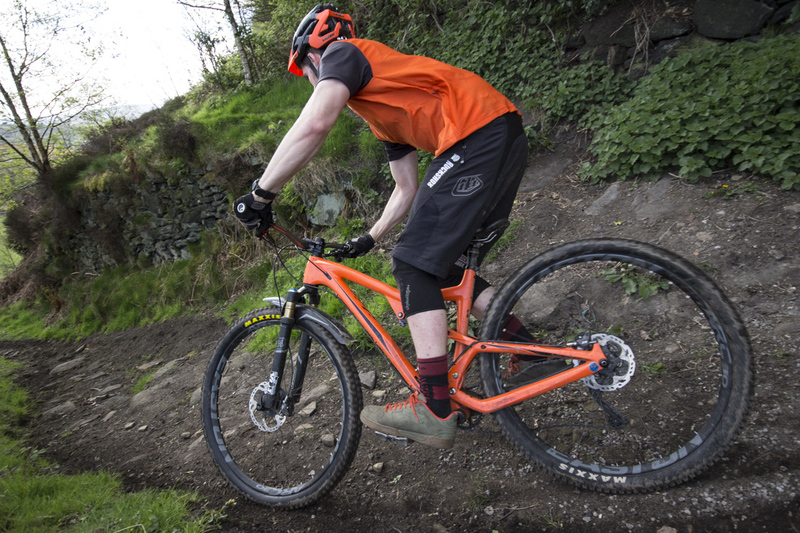 Fox 34 up front has provided great stiffness and plush suspension throughout testing. The frame on the Ripley LS has a few super neat features, including a tidy tapered head tube and the traditional Ibis golden proper head badge, screwed into the frame, rather than stuck. A proper head badge, that. We’d expect nothing else from Ibis. On the down tube, there is a neat little divot in the frame which makes room for a bottle to be slotted in, for those afternoon blasts. Bottle divot in the frame is a neat touch from Ibis. Ibis has also reverted back to a proper threaded 73mm BSA bottom bracket on the LS, rather than the press fit alternative on previous iterations. 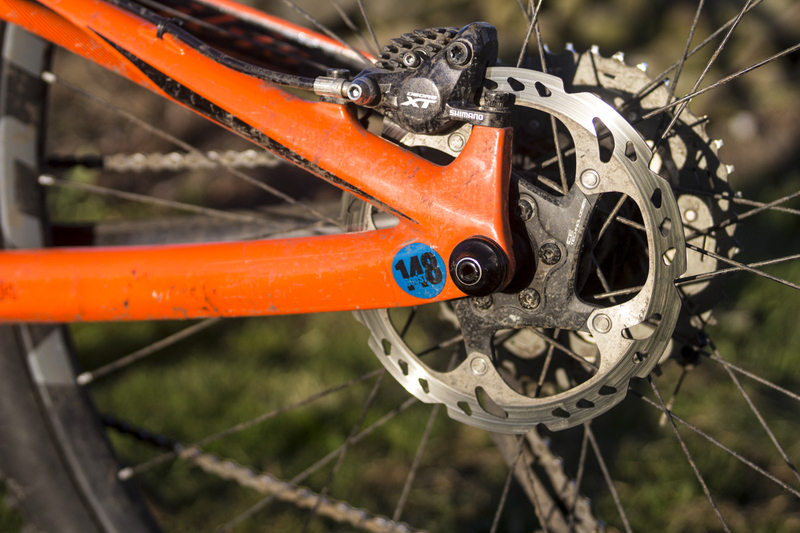 Boost hub spacing is on the order of service, with the LS offering 148x12mm rear dropouts. Another difference from that original model. 148mm rear axle spacing keeps the LS up to date and with the trends and standards. The Fox 34 fork up front is also as equally Boosted. 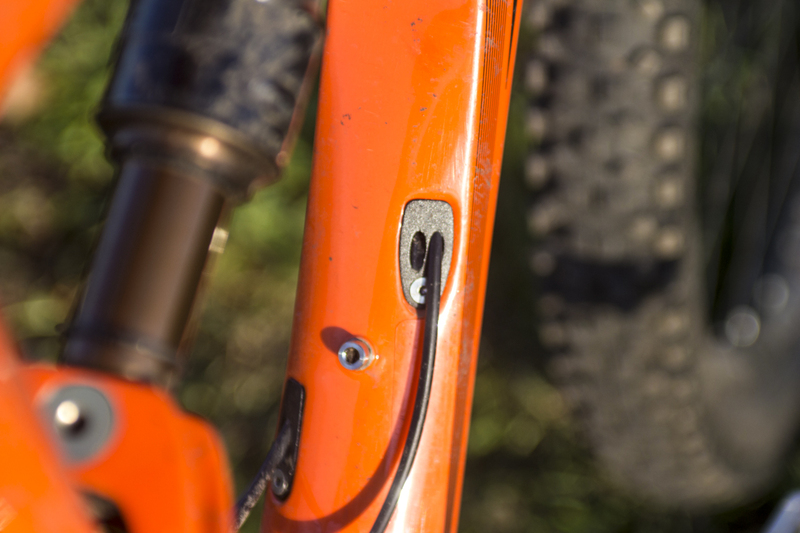 With the odd bit of internal cable routing that passes through the frame on the LS, Ibis uses really neat little plugs to ensure none of that wet dust stuff we have here in the UK can find its way into the frame. Internal cable routing exits are super neat and easy to remove. Rolling duties on this build are taken care of in the shape of Race Face Arc 30 rims, laced onto Ibis’ own hubs. Of note is that new builds will feature Ibis’ own complete wheelsets, similar to the 738 wheels we currently have on test. 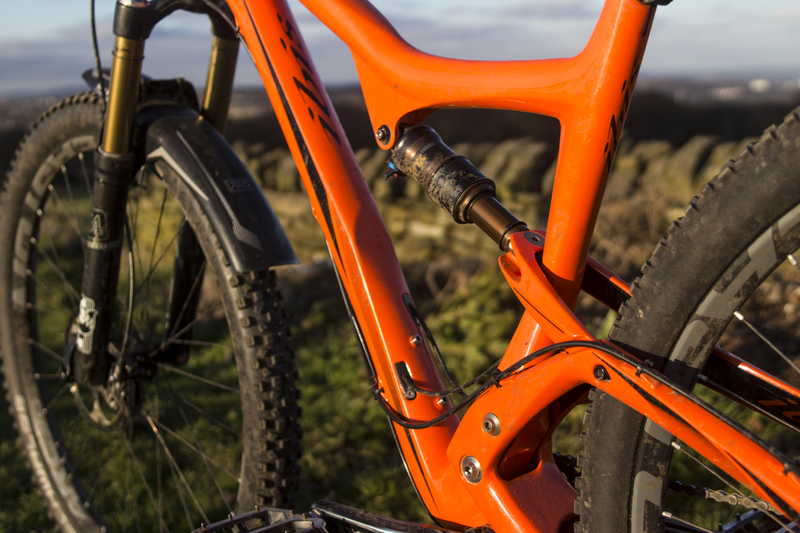 When it comes to speccing the Ripley LS, there are several different options through Ibis, to make sure that the build you select, is dialled just for you. Arc 30 rims on the Ibis are noticeably stiff, even when you really throw them into the corners. 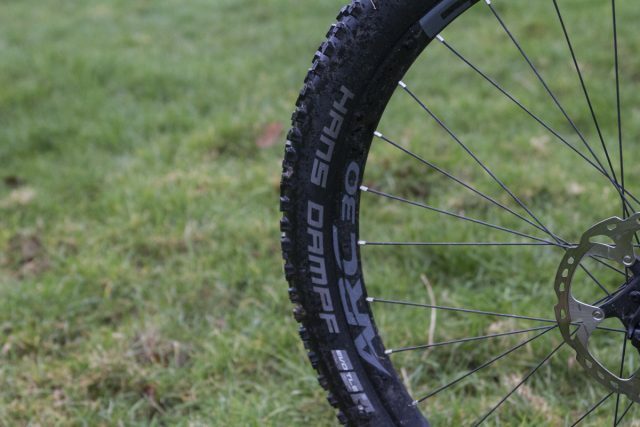 Direct from Ibis, these wheels are set up tubeless, with rubber from Schwalbe wrapped around the rims at each end. On the front, we’ve got a Hans Dampf, and on the rear a fast rolling and supportive Nobby Nick. Out of the box, these tyres serve their purpose well, and are set to get you through all conditions you expect to see on British trails. Rear end rubber is from Schwalbe, in the form of the fast rolling Nobby Nic. Looking at the bike fresh-faced out of the box, the particular standout components would definitely be the Ibis Lo Fi 760mm carbon flat bar, and our ‘special spec’ Danny Mac Lizard Skin grips (the blue, we’re not sure about). Danny Mac Lizard Skins strapped to the recognisable Ibis flats. The finned pads on the Shimano XT brakes, show the intent of this bike, and its ability to take you downhill, as well as it can go uphill. 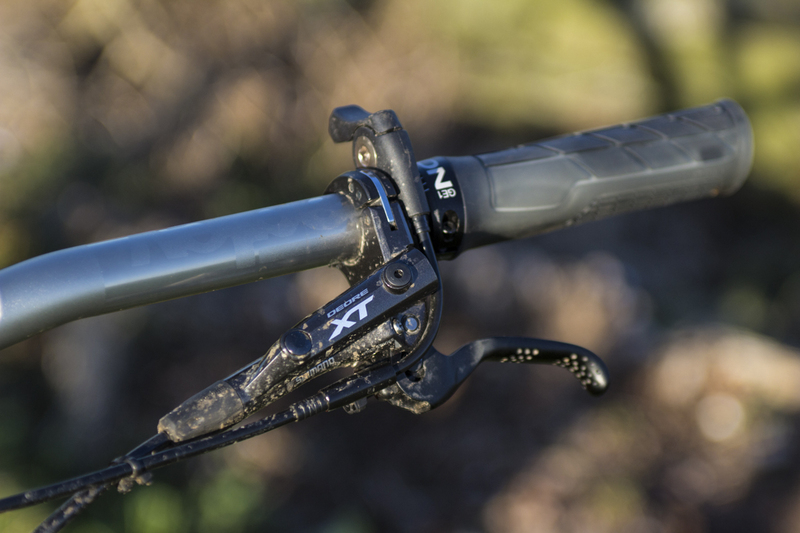 With the Ripley LS carrying so much speed, the XT brakes were put through their paces. Looking over the full spec, my only initial concern was with the dropper post. A KS Lev Integra dropper post. Its flimsy looking remote didn’t fill me with joy, after I’ve been the abuser of a couple of dropper post remotes in the past. 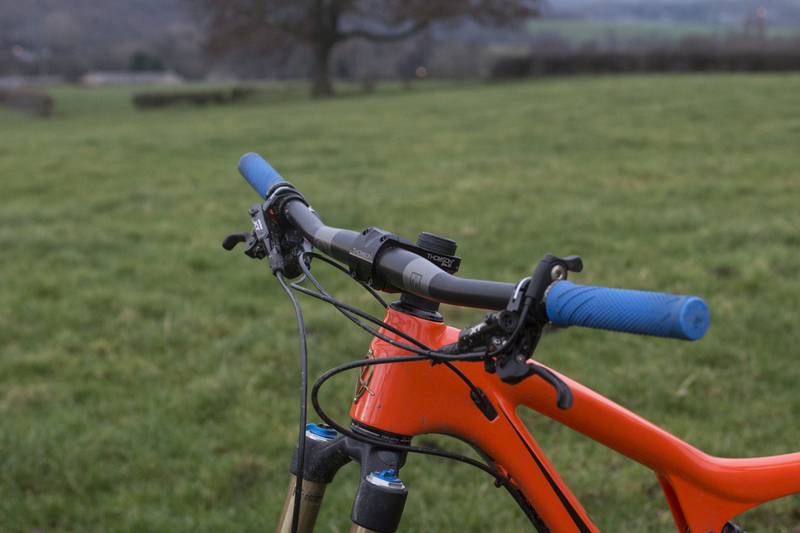 Previous experience with KS Lev droppers, and their lack of ability to deal with grit and mud through a British winter didn’t fill me with massive hope – but I was keen to dive in and see how it got on over the course of the test. Another slight concern I had, was simply down to the length of the bike, coming from riding longer travel, larger bikes before it. This though, was only a preconception, and getting on the bike would prove that the geometry of the LS would soon account for the slight drop in overall length to previous bikes. Overlooking Sheffield, the LS stands proud. 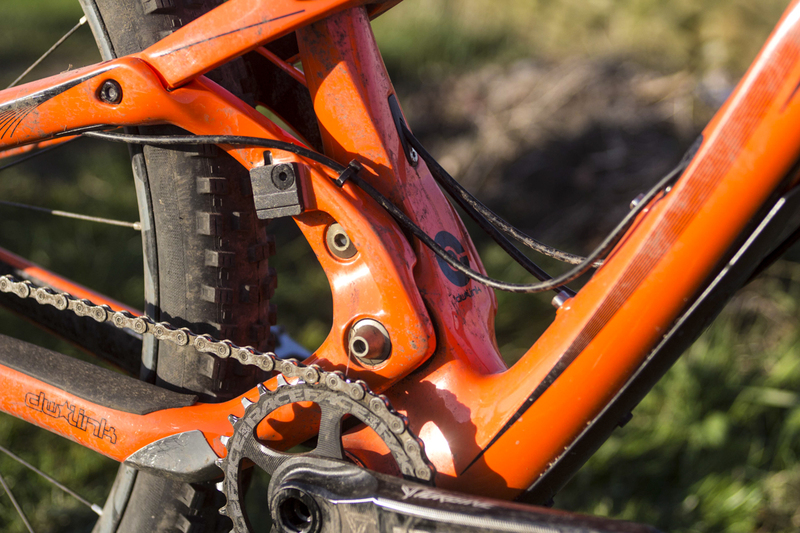 Without pedals and straight out of the box, the Ripley LS weighs in at a very respectable 27.3lbs (12.5kg). The Ripley LS we have here is a Large frame, and I am 6ft 2 (ish) which is around 188cm and the bike fits well, but in all fairness, I would have liked to bump up to an XL, to give myself a bit more reach. Putting a longer stem on the bike does help to push the bars out and extend that reach measurement slightly. As previously mentioned, coming from larger, longer travel bikes, the Ripley LS was always going to feel a touch odd to begin with. It’s definitely a lot more upright than I had been used to. Its 73° seat angle puts you nice and high on the bike in a seated position, and the reasonably slack head angle gives you confidence when it comes to pointing the bike downhill. It did take me a couple of rides to adjust to the positioning that was required to get the best out of the Ripley, but once you’ve found that sweet spot, the bike really does begin to speak for itself. Charging towards the next bit of trail. When pedalling, the Ibis is super sprightly and responsive. The stiffness of the rear end is noticeable, and acceleration is blindingly quick, especially out of the saddle. 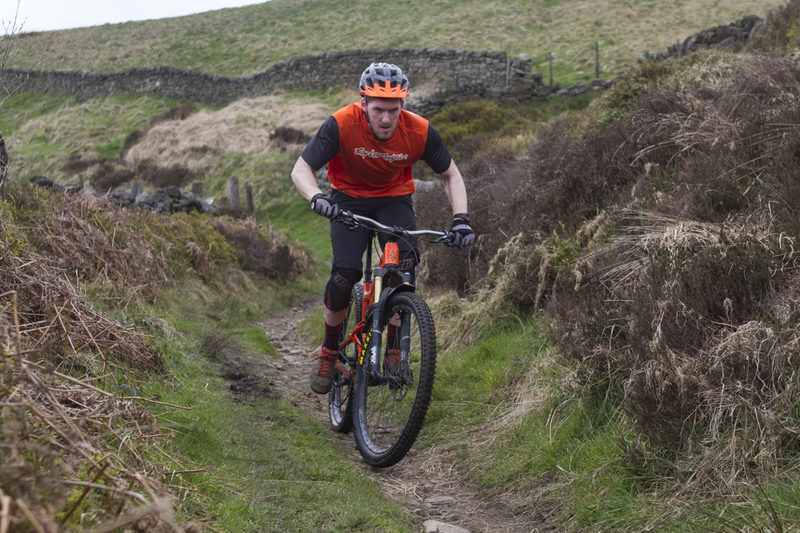 On looser terrain, the traction is managed well by the suspension, and the bike cranks its way over most things put in its way with ease. Over rough ground the bike tracks well, but I have encountered a few instances of pedal strike on larger rocks/steps in the trail. For the most part though, the suspension has dealt with my imperfections and lack of all-round riding competence, to make sure I kept out of trouble. Giving that Fox 34 a bit of a workout. On the climbs is where the Ripley LS shines most brightly. The lightning quick acceleration, coupled with a light chassis means this thing is off the line fast and the climbs soon disappear. The position the bike puts you in when you’re in the saddle and climbing is super comfortable, and getting to the top of a climb without really realising, happens all too often. There is minimal bob from the suspension and with the three stages of damping on the Fox Float DPS shock, means that if you need that extra bit of bite, you can essentially lock the shock out to keep you motoring along. I always find having the shock in its middle setting is suited best for climbing, as the shock takes care of the smaller bumps and mutes feedback, meaning you can just crack on with getting up the hill. When the shock is fully locked out, the stiffness of the bike is noticeable and you do get bounced around over the rougher stuff. For the most part I toggled between having the shock open or in the middle compression setting. As for picking lines on the ups, slower speed climbs and technical sections are easy to navigate on the Ripley, with the front end being super responsive. The dw-link suspension platform coped effortlessly on the steeper climbs where you want the suspension to sit tight. When it comes to technical singletrack, I was a bit concerned on my first couple of rides. The bike does feel quite twitchy on slower speed sections, and tight cornering to begin with, was a bit touch and go. After a few rides though, and once you know where the turning bite point is on this bike, you are given the confidence to flick the bike into all kinds of turns. The stiff front end guides the bike into the turns, and pedalling out of corners at higher speeds is not only delivered in a balanced and composed way, but it’s bloody good fun too. 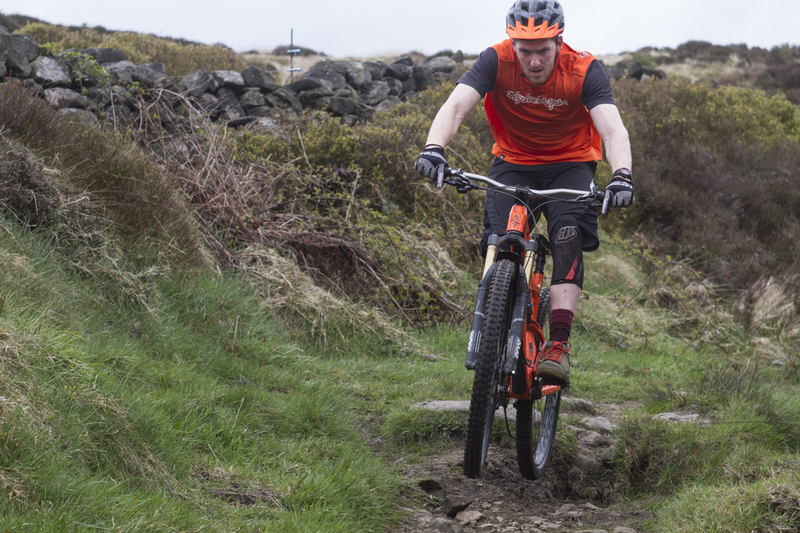 Getting slippery on the LS on our local Calderdale trails. On the bike, it’s super easy to adjust your body positioning. I found I was riding quite high up on the bike, but by moving my body and putting my weight further over the front of the bike, I found I was able to get more feedback from the bike. This has improved my riding on a bunch of different bikes, not just the Ripley. On steeper sections of trail, it’s easy to let the bike move around underneath you, and getting over the back of the bike is easy and the front end sticks well when pinned into corners and especially on looser trails. Finned XT pads on both ends of the Ripley help those pads to stay cool when under harsh braking. On the more hardpacked trails, the Ripley flies. The suspension sits well under harsh braking and grips so well through the corners. Getting out of the saddle to pedal along flatter trails, the bike feels taut and stable and acceleration is easily achieved. Around trail centre style trails, the Ripley LS is a joy, especially on nice wide, fast corners. Through trees and tight turns, the ride does require a bit more concentration to really get the best out of the bike, as the 29in wheels do seem a bit against harsh turns, but that’s down to their size and once you’ve got the hang of where this bike wants to be, you’ll be laughing. 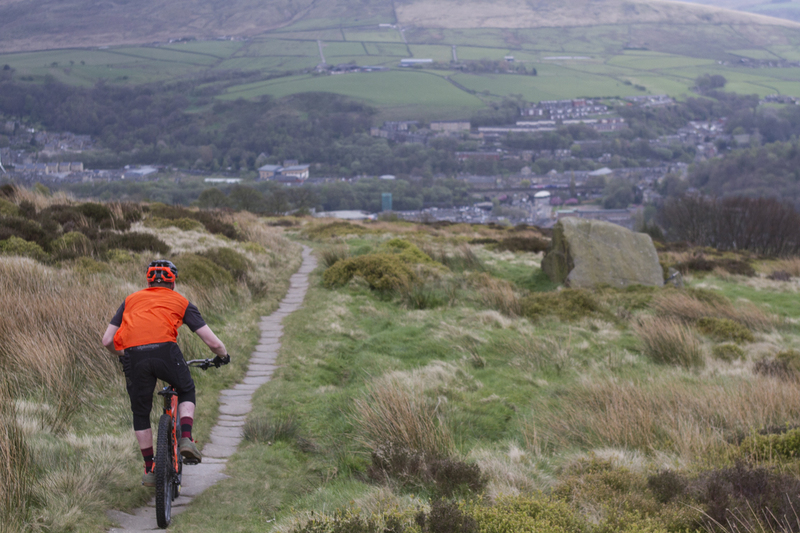 Let’s point downhill for a bit then, and take the Ripley LS on a mix of descending trails. 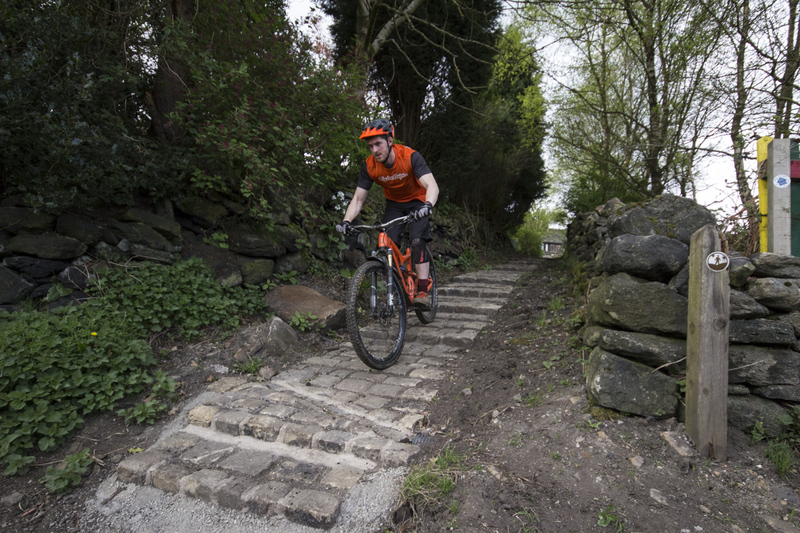 Around where we are based up in the Calder Valley, the trails are quite an up and down affair. Steep valley sides littered with a range of technical trials is where a stint of testing for the Ripley LS has taken place. With the intentions of this bike giving me hope that it would perform on every trail type, I was super keen to get it down the valley and see what it could do. The LS loves popping and diving around on the trail. It’s a fun bike, that’s for sure. On the first ride I was cautious about how the bike was going to perform on the steeper, technical trails – with the bigger wheels and slightly steeper head angle to what I had previously been used to on my 27.5in bikes. 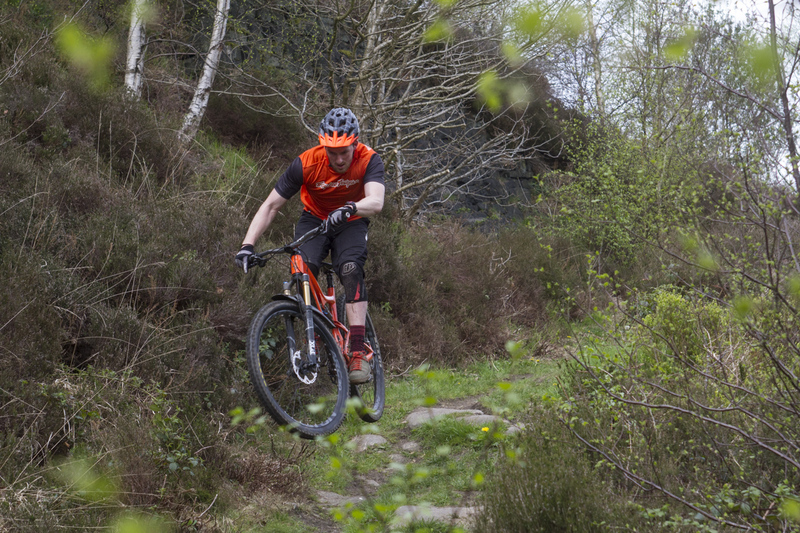 On the straighter trails, the bike hops and pops around so well, it’s such a good bike to ride – a proper smiler kind of thing. On the tighter stuff though, it became quite twitchy and took me a while to build my confidence. The front wheel felt sightly skittish through loose ground and trying to make tight turns in more loamy trail conditions proved difficult. 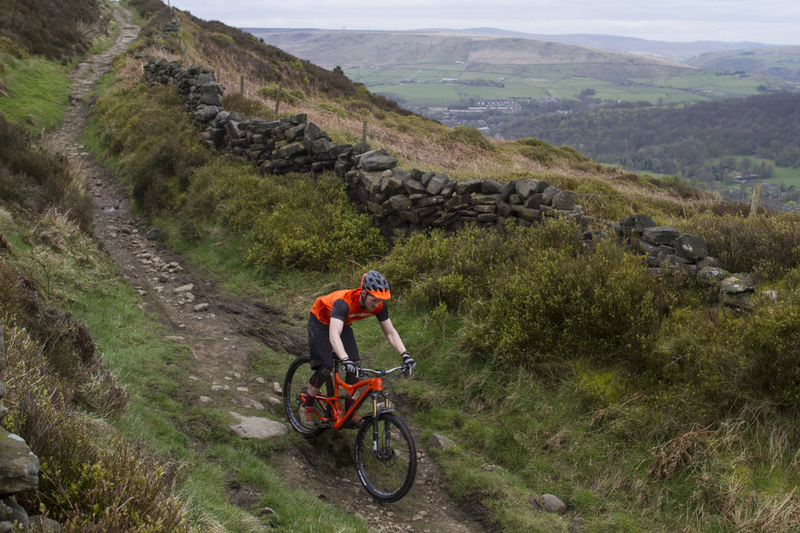 The Ripley LS picks up and loses speed so easily, which on harder packed type of trails is great – it’s just what you want. 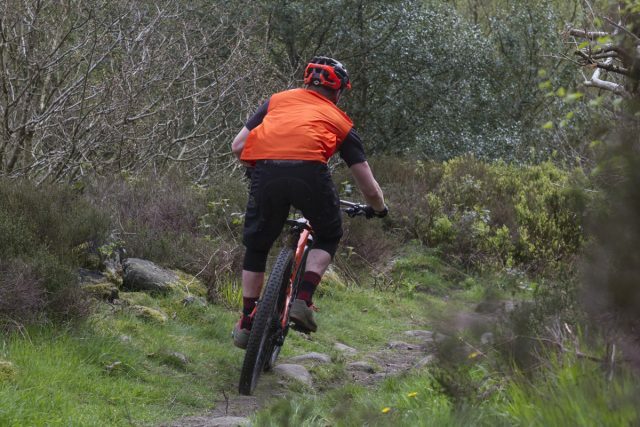 When it comes to the more technical trail features though, the Ripley LS does come up a bit short in comparison to other, slacker angled bikes that I’ve ridden – which is to be expected. Dropping in hot on the LS. Hitting trails that traverse the hillsides, and flowy trails which give you the chance to carry speed and momentum, the Ripley LS shines. This is where it wants to be ridden. 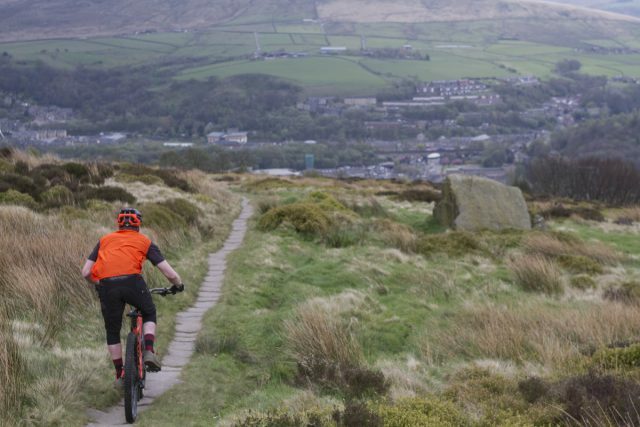 It’s a proper all day riding bike, that can take on all trail types, but in my experience I feel it’s best suited to more hard packed trails, which is where the bike really inspires confidence. When you can let off the brakes on this thing and let it plough, it’s a whole load of fun. 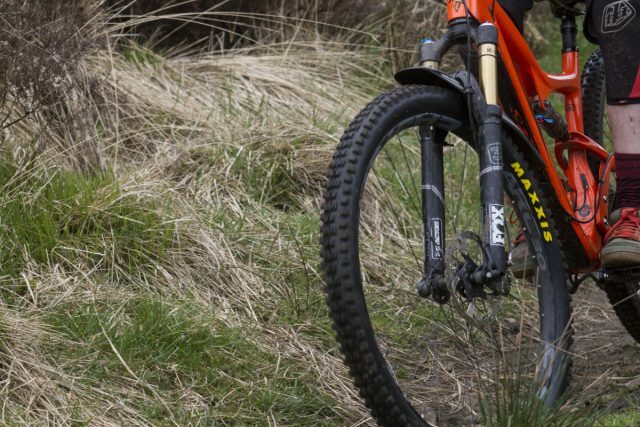 Over small chattery bumps, the tune on the Fox Float completely eradicates any unwanted feedback from the rear of the bike. 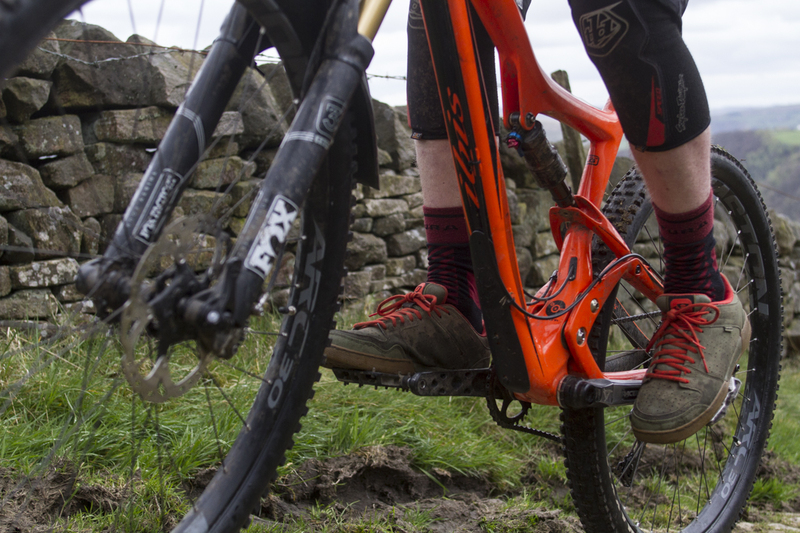 Upfront, the three stage damping on Fox 34 gives plenty of options to adjust and set the fork up, dependant on what trails you are riding. I haven’t had a ride where the suspension has become overwhelmed by any trail features. By setting up the fork and shock correctly at the beginning of testing, and by keeping an eye on pressures and tweaking when necessary throughout the duration of testing, the bike has sat exactly where I want it within the travel. Lean back and let the LS fly. Frame/wheel flex is a hot topic with bike tests, especially with the new hi-tech carbon options that are now available. 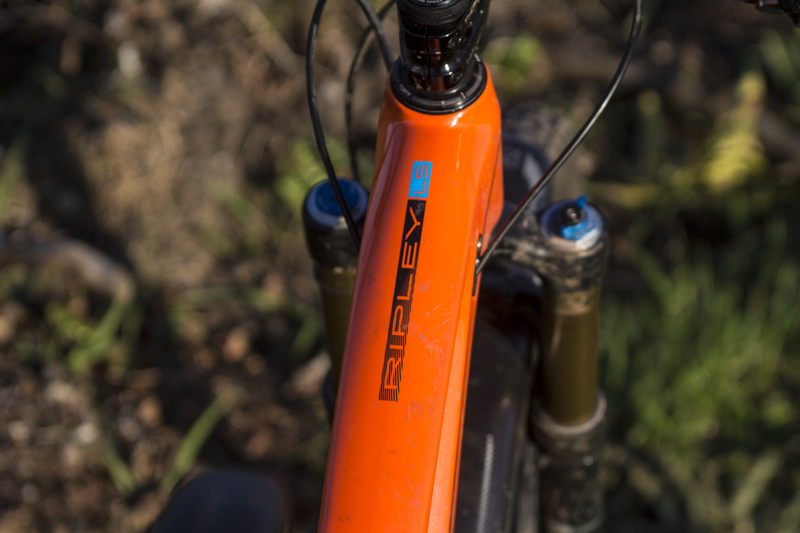 The Ripley LS frame has felt excellent throughout testing, with the rear end in particular feeling stiff and incredibly well balanced throughout all testing scenarios. 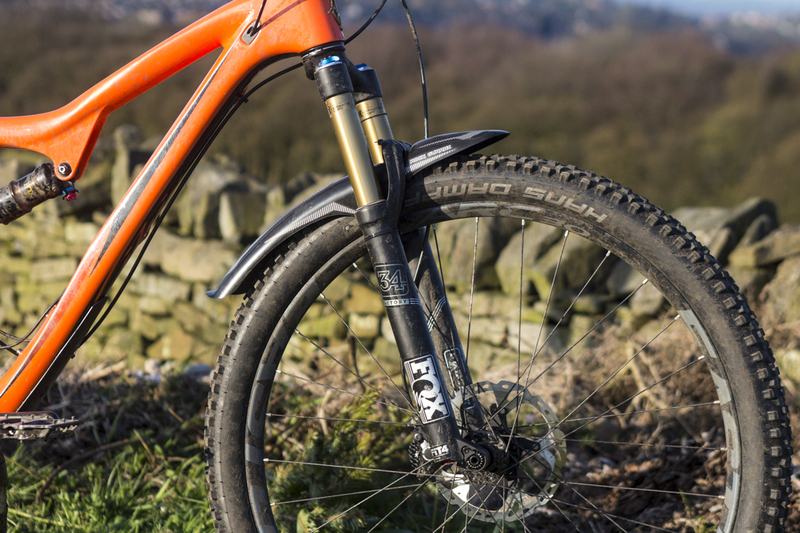 Compared to the slender 32mm stanchion forks specced on the original Ripley, the Fox 34 has offered additional front end stiffness throughout testing, and has given confidence when it comes to throwing the bike into corners. The wheels on the LS are alloy, so have a touch of flex, compared to carbon alternatives. This is no bad thing, and in my personal preference being able to get that touch of flex through the wheels offers more feedback on the ride while helping the bike track more smoothly compared to rolling on mega-stiff carbon hoops. I am 79kg (12.5stone) and have had no issues with any tyres feeling as they’re beginning to roll off the rim, or had no issues with flex or excessive feedback from the frame when it comes to harsh landings, acute cornering or hurtling the bike through rough sections of trail. The stiff chassis on the 34 made mince meat of corners and grip was exceptional. The bike has performed confidently in a number of trail scenarios, while at the same time being patient with my developing skills aboard a 29er. On the faster, harder packed trails, the Ripley LS is an undoubtedly great bike. The suspension performs to such a high standard, you’d really have to go to some lengths to get the bike into a scenario where it would begin to feel like it couldn’t cope. As mentioned in my experience, I have found the bike slightly twitchy on the steeper looser trails, but I’m confident that is down to the rider, rather than the bike. And to see how much the bike had come on since that original model (the S/S – Shorter and Steeper? – Ed) we did some A/B testing with our original 2013 bike. The differences were instantly noticeable and it was obvious that the LS has evolved more than we were perhaps giving it credit for. Of the pair, the new bike naturally feels more roomy in the top tube, but the whole attitude of the LS over the original seems markedly changed. There’s a beef and reassurance to the front end of the bike and a much more stable feel overall. While the original Ripley still feels like a svelte XC machine, the LS has a more long-legged trail bike sense to it. Planted and fast on the straighter and hard packed trails. When I first took delivery of the Ripley LS, I was excited to see if the new wave of short travel 29ers could change my mind about the kind of bikes that I wanted to ride. My initial impressions of the LS didn’t quite sway my prejudice and it wasn’t until after a good few proper rides on the LS when I realised just how capable this bike is. The LS is an unbelievable all-day trail riding bike, ready to take you on all those must-ride trails and leave you with a smile on your face. 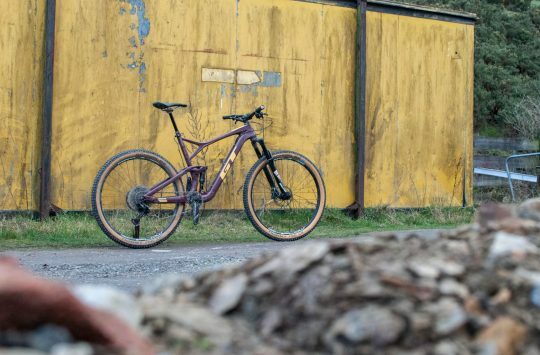 As the new hi-tech trend of carbon framed bikes continue to grow, and if you’re in the market for a short travel carbon 29er, the Ibis Ripley LS has to be up there on your potential list of bikes to purchase. For 2017, Ibis has now consolidated the Ripley and Ripley LS into one bike (it seems that everyone was buying the LS). Instead of having a more XC orientated bike and the longer and slacker version, Ibis has adapted its range and now provide the Ibis Ripley Mk 3, which takes the ethos of the original Ripley, combined with the geometry from the LS. Channeling my inner enduro-steeze, the LS does pop up well on its back wheel when you know where the weight needs to be. Throughout the testing period, we had a couple of small issues with the build on the LS. A slightly sticky KS Lev Integra dropper post being one of those issues, where hand actuation became habit when out on the trail to get the post to return to the fully extended position. The Ibis flat bars that came on the Ripley LS offer a noticeably different riding position to those of us that are used to bars with more rise. After a few rides out, these were swapped out for a wider and taller pair of Ragley Wiser bars, to give the bike that familiar cockpit feel. Tyre choice was also adapted throughout testing, with the stock Schwalbe Hans Dampf and Nobby Nic being replaced with a Maxxis Minion DHF up front and High Roller 2 keeping the back end rolling smooth and fast. Small bump sensitivity is noticeable on the Ripely, but doesn’t disturb the ride at all. When in a straight line, the bike ploughs through with ease. 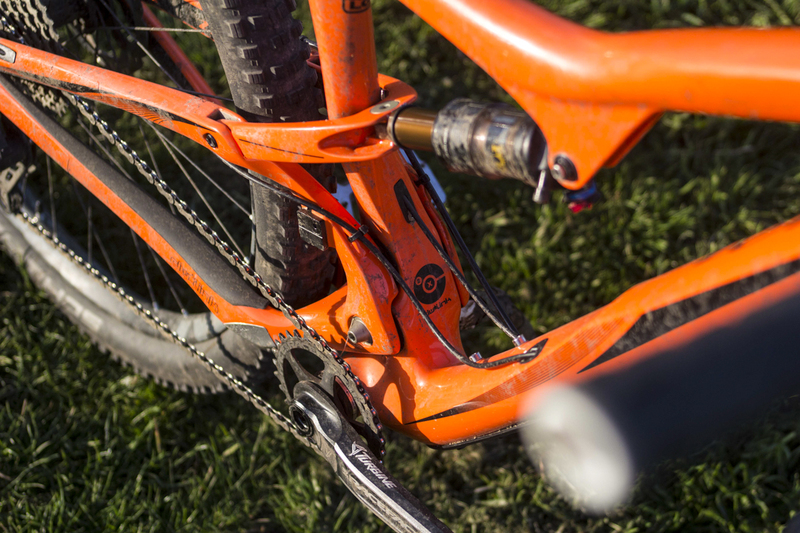 This bike is as good as you’d expect from a brand like Ibis. The frame is a piece of art, and the ride quality this thing delivers is fantastic. For long days out and for short blasts, the Ripley LS soaks up 90% of what you throw it into, with ease. Even with its updated geometry, on the steeper and more technical trails, the bike becomes a touch twitchy and beings to feel slightly out of its depth, but if you have the skills to be able to pull it through those sections of trails, then the faster, more open sections will reward you no-end. With a build kit like we’ve had on this bike, it’s easy to see the bike’s intentions. If you’re about caning the weekend miles aboard a comfortable, adaptable and enjoyable bike, then the Ripley could be the bike for you. If you’re into your steep, technical and fast, loamy trails, then the Mojo or Mojo HD from Ibis will probably be more up your street. 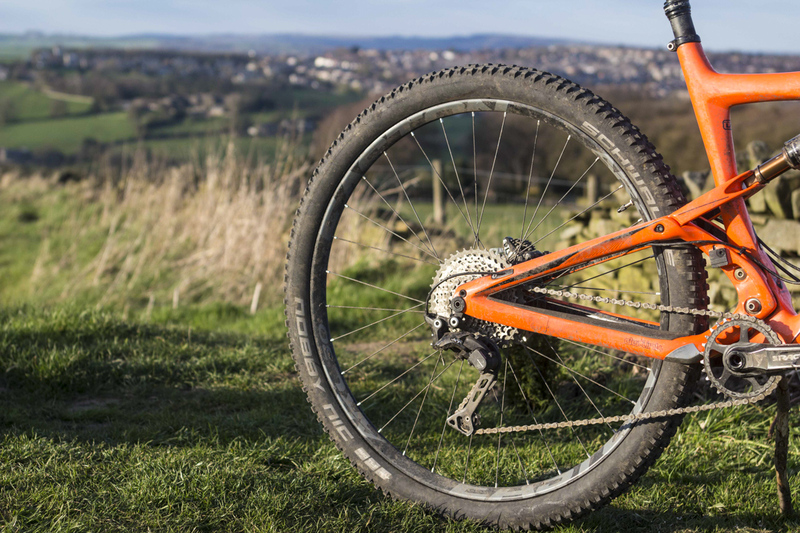 The Ripley LS shows just how good short travel 29ers are, and with the slightly updated and tweaked Mk3 Ripley released earlier this year, we’re expecting to see this kind of bike become more and more popular on trails all over the country. That was a real decent review. Could you perhaps now test the mojo 3? Owned one and I thought it was OK. Too low for me, I had to run a 170mm crank. Endless problems with my Fox Evol but that was just bad luck. Pedals well and is nimble.